I bring you glad tidings of a brand new EP called ‘As By Fire Between Walls‘. It’s got it all: Advent! Strings! Brass! Soulful wordless vocals! Tasty drums! Mellotrons! Lastly, this project was created with the mega talents and generosity of Ansa Stamper, Mike Cemprola, Jay Webb, Paul Arbogast, Christopher McDonald, Liz Ciavolino, Bethany Brooks, Erica Miller, Naomi Gray, Matt Scarano. What a crew. ** All pieces commissioned by City Church Philadelphia, as fine a bunch of people as there ever was. 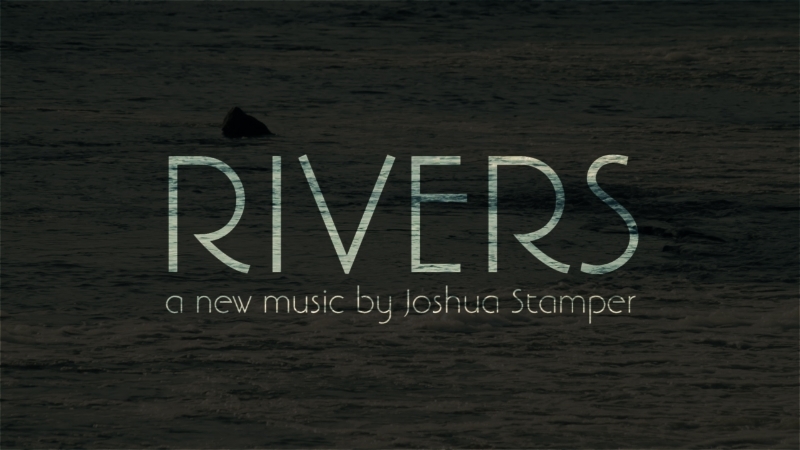 I’m thrilled to announce the premiere of RIVERS, a new six-movement work written for prepared piano, prepared cello, dance, and film. RIVERS is the first chapter of Elements, a four-part multimedia series exploring the physical, environmental, and cultural significance of the four classical elements (water, air, fire, earth), and the specific ways their movements have shaped Philadelphia. RIVERS explores the dynamic relationship between the Schuylkill and Delaware Rivers and the city recognized as the cradle of liberty and the birthplace of America. Below are some special visual treats and more information about the piece. Read on to enjoy, and then get your tickets. The piece is really coming together beautifully, and we can’t wait to share it with you. At once a picture of stasis and motion, calm and turbulence, nourishment and destruction, rivers are a contradiction. Topography is shaped and reshaped, communities are separated and created. A critical source of water and food; a vital means of transportation, energy, bathing, irrigation; even a central figure to religious narrative and practice — rivers carry on with no regard for human beings, and yet their presence shapes humanity in profound ways. It is small wonder that rivers have captured our cultural, philosophical, and spiritual imaginations for millennia. The piece, like the subject of its inspiration, is an exploration of disparate qualities that somehow exist comfortably in tandem: change and constancy, pattern and irregularity, danger and whimsy. 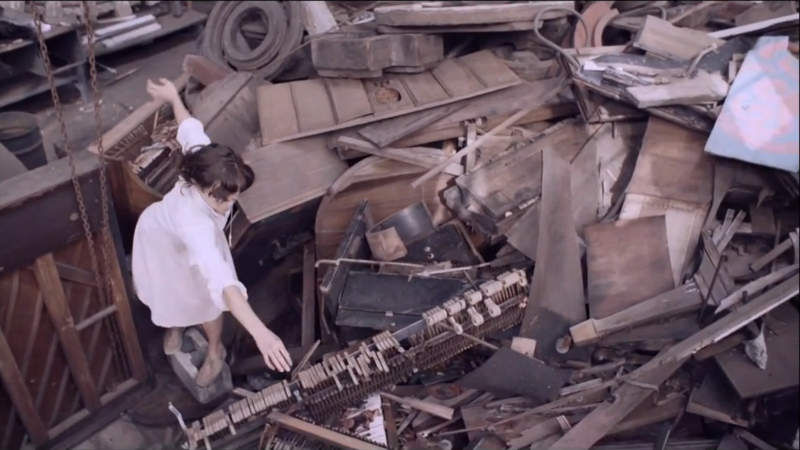 Each element — music, dance, film — relates to the other in startling ways. 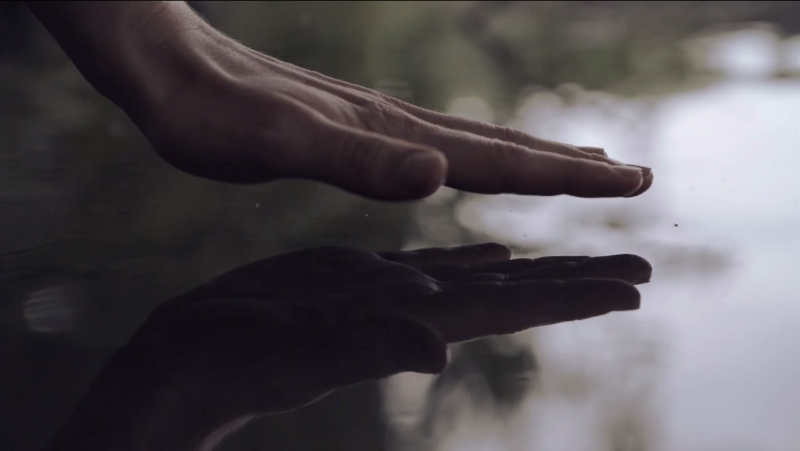 Dancers affect the music with preparations of bolts, wine corks, tin-foil, and thread; sweeps of cinematic images anticipate, mirror, and echo gestures occurring on stage; musicians and dancers interact with their own “reflections” on screen. The roles of dance, film, and music are shifted, tumbled, turned around, and blurred; like river currents crashing into one another, or collections of small stones orbiting in an eddy; like the millions of human impacts and adjustments that daily define a city. RIVERS is for those engaged and invested in questions of urban renewal — city planners, students, conservationists, artists, social workers, and educators; for those who have reckoned with the brokenness and inequity embedded in civic system and practice, yet maintain a vision of the city as a potential fountainhead of profound flourishing and wholeness. The audiences for RIVERS are the individuals and communities who see hope and promise in working towards a thorough and nuanced symbiosis of human culture and nature. RIVERS is written for Philadelphia. One never steps in the same river twice. RIVERS celebrates the here and now, engaging with a particular time and a particular place. It invites its audience to experience the calm and turbulence, the shaping and reshaping, of a city and its culture. RIVERS is supported in part through grants from the Philadelphia Chapter of the American Composers Forum, the Eric Stokes Fund “Earth’s Best In Tune”, and Lincoln City Fellowships / Speranza Foundation.